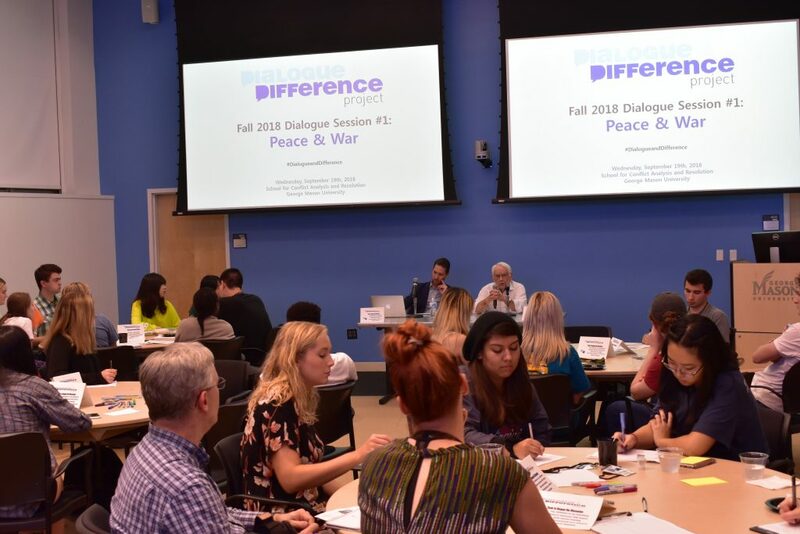 In today’s polarized U.S. climate, the Dialogue and Difference Project aims to deepen the discussion and garner student involvement. This month the discussion topic was peace and war. Students, faculty and members of the community participated in roundtable discussions at the event on Wednesday, Sept. 19 in Research Hall. 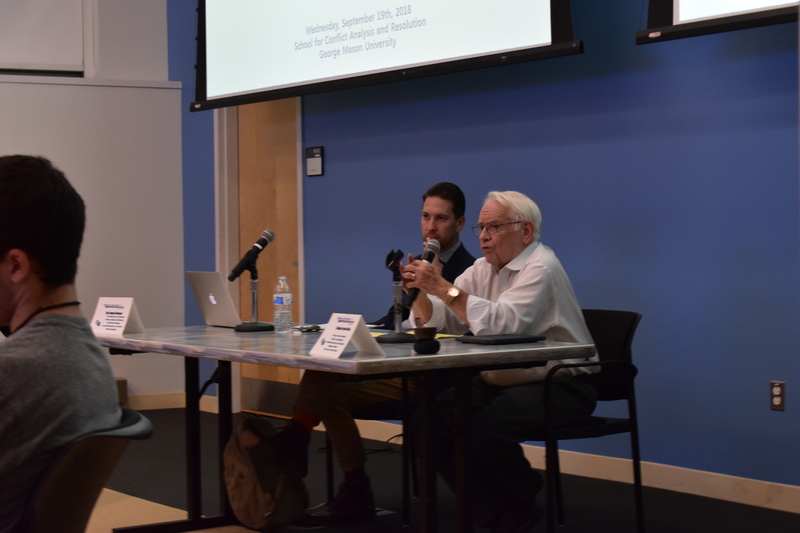 Peter Stearns, a professor of history at Mason and the former provost, started off the evening with a panel meant to provoke discussions among the roundtables. “We’re in an intensely partisan era and we need to figure out ways to use dialogue to reach conclusions that can be more widely accepted,“ Stearns said. Stearns’ presentation focused on a foreign policy concept known as The Thucydides Trap. This is when a rising power threatens to displace a ruling one. Stearns explained that the the most likely outcome of a thucydides trap is war. Stearns cited that seven of the most recent eleven cases ended in war. A recent example would be Germany and Europe, as well as the ascent of the Soviet Union. Stearns went on to suggest that the single most important relationship right now is between China and the U.S., where there is a clear power struggle. 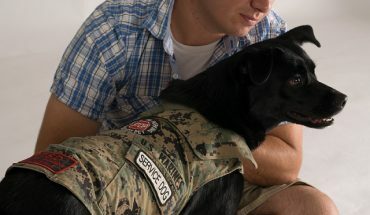 Kirkpatrick discussed his background co-directing the Coming Home Project, which engages veterans in dialogues on the moral, psychological and spiritual impacts of war. An example of this would be a soldier taking the life of another human. Kirkpatrick explained that taking a life is something considered to be morally wrong in most circumstances and takes a toll on the person committing the act since it violates moral beliefs. The common theme throughout his presentation was questioning how war could be morally acceptable based on the impact it has on various people and their roles in the war. After the panelists’ presentations, the roundtables were encouraged to debate topics that were brought up and discuss their various viewpoints. Each roundtable had a facilitator who was in charge of keeping the conversation flowing and encouraging all group members to actively participate. At the end of the session, each group shared a summary of what was talked about at their table. Several common themes discussed were the role technology plays in war and society, questioning if war is ethical and recent developments in foreign policy under the Trump administration. “My parents were very liberal and peace-oriented and voted accordingly. So I just wanted to hear different perspectives on that kind of topic, and how I can make a more informed and less partisan decision on how war can be a good or bad thing,”said Brian Bera, a freshman at Mason who attended the event. On each table there was a pamphlet that detailed ways to deepen each discussion. The pamphlets suggested that participants “pay attention to my intentions, balance advocacy with inquiry, build shared meaning, use self-awareness as a resource and explore.” Student’s participating in the roundtables found these tools to be helpful resource during their discussions. The Dialogue and Difference Project’s objective was also to encourage engagement among students on college campuses. “Two ways: the most obvious answer is to vote,” said Stearns on the role of students in terms of civic engagement. “We don’t usually vote for candidates for congress, for example, mainly on foreign policy. But we ought to keep military policy in mind, even when we are voting for them based on their stance on gun control or whatever. Intelligent voting should include a peace dimension. And the second thing is students here and other places are going to become leaders of various fields, and some of them are going to be in positions in their later careers to participate in some of these policy efforts,” said Stearns. The next Dialogue and Difference Project session will focus on the topic of elections and voting. The session will be held on Thursday, Oct. 18 from 7:30-9:15 p.m. in Research Hall 163.